The concept of patronage was key to the scientific and artistic flourishing of the Italian Renaissance. The simple but celebrated system encouraged noble and wealthy families to offer financial rewards to the most skilled artists, thinkers and talented craftsmen and innovators found the full expression of their gifts. This tradition imbued Italy with respect for fresh ideas and craftsmanship that still flourishes today. 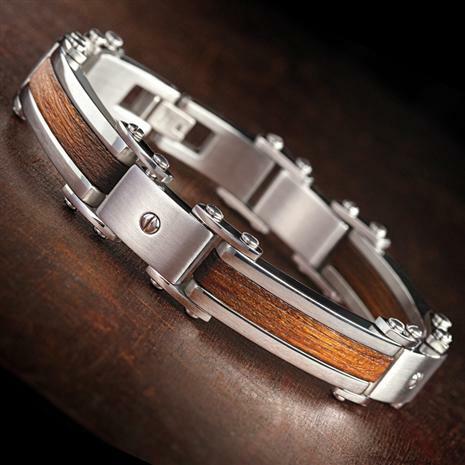 The Legna Men’s Bracelet is the latest example of Italian innovation and artisanal work. Handmade in Italy by highly skilled craftsmen, the Legna blends the strength of stainless steel with the rich beauty of wood for the ultimate combination of industry and nature, unlike anything else in your collection of accessories. You can be a modern patron to these artisans to show your support for the talented workers who crafted the Legna.